The field trip I went to was awesome because at the Museum of Natural History there was a lot of history. My favorite part was when we went on a scavenger hunt. We had to look and see very very closely and see which paw matched the animal on the paper. The field trip was so much better than staying home on a Saturday doing nothing but watching TV all day. If you were there you would know how amazing it was. My Father Richard Stringer came and chaperoned the trip and he thought the history there was amazing once we got upstairs and explored everything! I CAN’T WAIT FOR THE NEXT FIELD TRIP! Thanks to Patty Ross and her fellow comedians for a great night of laughter, to our local food and beverage businesses for a great buffet, and to all those who contributed to our silent auction. See you next year. Last Friday, students from the Paraclete went to go see the movie The Hunger Games. You had to have good behavior and you had to read the book, and you had to attend the Paraclete regularly. The movie was well organized and baffled my mind. The Hunger Games was really sad, it almost made Ms. Lucero cry. The actors and the actresses acted the movie out really well. Did you think the book was better than the movie? Think about that question. Ask Stanley, Ms. Lucero, Ms. K what you think. My favorite character were Rue, Katniss and Peeta. The best part was when Katniss and Peeta won The Hunger Games. I was so happy and amazed about what happened. The part that I disliked was when Katniss just forgot about Gale. I personally thought Gale won Katniss’s Heart. Marian and Crystal liked the movie. Did you? The movie had a lot of feeling and action in it. What would you grade the movies overall percentage? For me it was a 95%. What about you? Paraclete student Crystal Aneke has started a gossip column for the Paraclete Chronicle called “Gossip Girl.” Her first column revolves around the budding romance between two of the dogs at the Paraclete: Scout (a young English Pointer) and Boo (a black Labrador Retriever many years his senior). Check out the details below. Boo and Scout in love? Find out now on the latest addition to part one of Gossip Girl featuring your host, Crystal Aneke. So today I saw the cutest thing ever! Guess what? So are you ready? OK, so I saw Boo and Scout sharing a bone, then later that day I also noticed Boo and Scout awfully close. The craziest thing of all, Boo denied Ms. Lucero giving her food! Can you believe that? Boo never denies food from Ms. Lucero. NEVER! So I saw Boo and Scout sharing a bone today on the stairs! That’s how I knew it was a official. Scout stared at Boo’s brown eyes. Boo then gracefully slept on Scout’s arm. “Awwwwwww,” I screamed. “Drama bomb!” So you didn’t hear it from me! Boo and Scout are so getting married. Just look at them. Stay tuned for the next episode of Gossip Girl! P.S. Casey is asking people who they think is the best looking celebrity. Last Friday, the Paraclete went to go see The Hunger Games with the 16 students that were chosen to go. Watching was incredibly exciting and everybody’s anticipation was growing. In my opinion, I believe the movie was great and showed a lot of feelings that I myself would feel if I had to fight to the death with only one person surviving. One thing that I would do to make it better is to add more mystery between the characters and more foreshadowing. Stanley Aneke: The Hunger Games had a lot of action and it was really sad but very entertaining. Casey Mulligan: It was awesome. I think the book was better though. Crystal Aneke: It was sad and made me cry. It showed a lot of emotion and I just felt as if I was in the movie. It was great. Thanks to all our Sponsors and Friends who made the event such a success Mrs. Menino has been a friend and supporter of the Paraclete Academy since it started in 1997. More importantly, she is a lifelong advocate for the children of Boston. We were honored to recognize her and her work at our annual reception at Boston College High School on November 9th. Check out the pictures on our facebook. Harmon believes successful turnaround efforts “often require adding two, three, or even more hours of academic and enrichment programs to the school day.” His solution is not to extend the hours teachers are in school but to hand off the next shift to young dedicated college graduates. He cites two such programs that do just that: Citizen Schools and the Paraclete Academy. “Some high-quality after-school programs operate without any taxpayer funding. The Paraclete Academy in South Boston is a calling for its co-founder, Sister Ann Fox. It’s also a godsend for low-income, elementary, and middle-school students who arrive at the former St. Augustine convent on E Street shortly after school and stay as late as 8 p.m. Paraclete takes considerable care to balance the ethnic and economic mix of its roughly 50 students. We were delighted to welcome Mrs. Angela Menino,First Lady of Boston, to the Paraclete October 6 and surprise her with the announcement that we were dedicating our library in her honor. South Bostons Paraclete Academy honors Angela Menino (via www.boston.com) South Boston’s Paraclete Academy honors Angela Menino www.boston.com She thought she was coming to read to a group of our student¸which of course she did. Later, Mrs. Menino confided that she loves reading to children; it was obvious that our children loved being read to by her. Another planned “coincidence” was the presence of many of our board and event committee members who were having a meeting about our November 9 Reception and were able to take part in the festivities. Check out our facebook for pictures. As adults we tend to think that we are the only ones capable of making profound decisions. In reality, decisions are being made by children as young as ten, eleven and twelve that profoundly influence their adult lives. Let me introduce you to Louis and Darwin. When he came to the Paraclete in the fifth grade, Louis prided himself on being street-wise. He soon befriended a group of less sophisticated boys who lived on the same block in their housing development – but never knew each other because they went to different schools. Everything was going smoothly until Louis began not showing up at the Academy. His mother was worried that she was losing him to the streets. He was hanging out with a group of older boys who thought basketball much more important than school work. Why Begin with the 4th Grade? Research indicates the fourth grade is a critical transitional time for reading and social development. Our experience at the Paraclete Academy mirrors this finding. Beginning later this fall, we will expand our existing core instruction of fifth and sixth grade classes to include this crucial grade. During the first three years of school, children learn the mechanics of reading with vocabulary words that focus on the familiar – the terminology of family and home. Almost every child feels comfortable with the words they read. Beginning in the fourth grade, reading moves into the wider world and with this transition comes less familiar vocabulary. At this age, children themselves are moving into the world and becoming increasingly influenced by what their peers think over the thoughts and opinions of the adults in their lives. The creation of a positive learning community that provides peer support for working hard in school is an important part of our program. There are two questions that often come up when talking about the Paraclete Foundation: What does the word “paraclete” mean and how did you end up in Rwanda? The two are actually related. The answer to the first question is that the word paraclete comes from the Greek word, paracletos, which means literally “to be called along side of one in need.” In Christian scriptures it was used by John as a name for the Holy Spirit. Sr. Juvenal has returned to Rwanda and is head of school at Maranyundo, replacing Sr. Felicite who was responsible for its start-up and saw her first class take national exams and rank number 1 in the country for girls’ schools and number 3 nationally. Sr. Felicite is now at St. Joseph’s in Nanza where she will be expanding this private primary school to include a middle school. Sr Augusta, the Econome Generale of the Benebikira congregation will be returning to Boston in May at the invitation of Babson College to attend summer business classes. She will be accompanied by Sr. Consolata who will be here for six months to learn English. One of our stellar 5th graders chose to challenge herself by reporting on the situation in Libya! Her effort and research is clearly evident in this article, which succinctly describes the early situation. A few weeks ago the U.S and other countries including France and the United Kingdom, began military attacks against the government of Libya. They are trying to stop the Libyan Leader, Colonel Muammar al-Qaddafi, from attacking his own people. Thousands of protesters took the streets of Libya in protests similar to those in Egypt, more than a month ago. 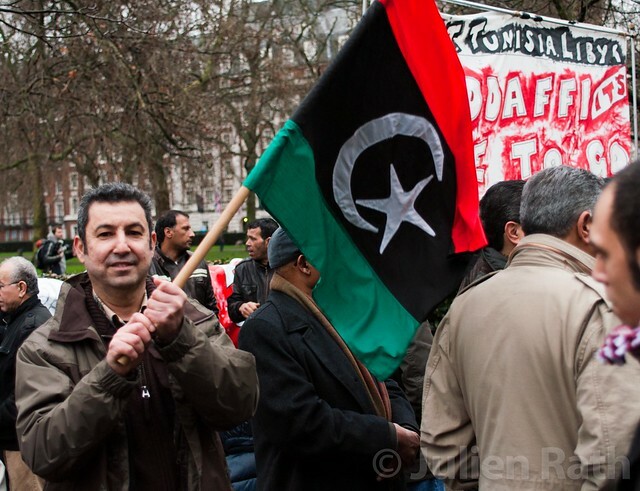 The protesters demanded that Qaddafi step down. Our fifth and sixth grade English classes have been working on newspaper articles, and this was written by Perkins 5th grader Selena Figueroa. She is now an expert on Selena Perez. Enjoy! Selena was born April 13, 1971 in Lake Jackson, Texas. Selena was an amazing dancer and singer; she had a lot of talent. Selena was a Mexican Latin-American singer and she was really famous. Selena started singing when she was six. When she was nine she was in a family band called “los Dinos”, that means “the dinosaurs”. In the was her father , Abraham Quintanilla, her mother, Marcela Quintanilla, her sister, Suzzette Quintanilla, and her brother Abraham Quintanilla junior the third. Selena attended O.M Roberts Elementary school in Lake Jackson. At age eleven she had became a star. Selena ran away at age 21 and got married to Chris Perez. She ran away to get married to Chris Perez because her father didn’t want her marrying him. Selena got married in Corpus Christi. just his name is very nifty.